Fortunately influenza vaccinations can prevent hospitalizations related to respiratory illness and even more importantly, vaccination may prevent an increased risk for stroke and myocardial infarction that occurs following the flu. Despite the benefits associated with vaccinations, vaccination rates are still too low. The November 2017 flu vaccination coverage rate was only 56.6% for those over 65. For people between 50 and 64 the rate was only 40.6%. In order to increase adherence to adult immunization recommendations across the country the Gerontological Society of America developed the Immunization Champions, Advocates and Mentors Program, a step-by-step guide to vaccinating adults. The program was developed based on the fact that education of providers or patients alone does not seem to change immunization behavior. Instead the Gerontological Society decided to focus on developing immunization advocates to champion better immunization behavior. The Gerontological Society believes that in order to really increase vaccination rates for all adults it is important to try to change actual immunization behavior. Specifically, doctors should provide ongoing encouragement and education, getting rid of the unpleasant sensations associated with getting immunized such as fear and pain, and also improve incentives, to encourage patients to get immunized. We also encourage focusing on changes in the environment and policies within settings to help engage staff and patients in getting immunized. The Gerontological Society of America National Adult Vaccination Program provides training on how to make immunizations happen. Along with developing champions, health advocates believe that it’s important to make immunizations more accessible and that providers use presumptive statements to encourage vaccinations. Providing immunizations in the workplace and for people living in assisted living, nursing homes, or other institutions is critical to improving overall immunization rates. Featured image credit: “White Syringe” by Rawpixel.com. CC0 via Pexels. Barbara Resnick, PhD, CRNP, is a professor at University of Maryland School of Nursing. 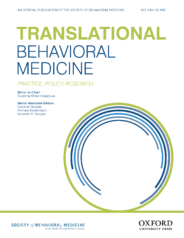 Dr. Resnick recently published "Dissemination and implementation of the ICAMP" in Translational Behavioral Medicine.